Epson has announced details of four new wide format printers, all using aqueous inks. Epson is in the process of phasing out its Stylus Pro range so these are branded as SureColor P printers and are targeted at the proofing, fine art and photographic markets. 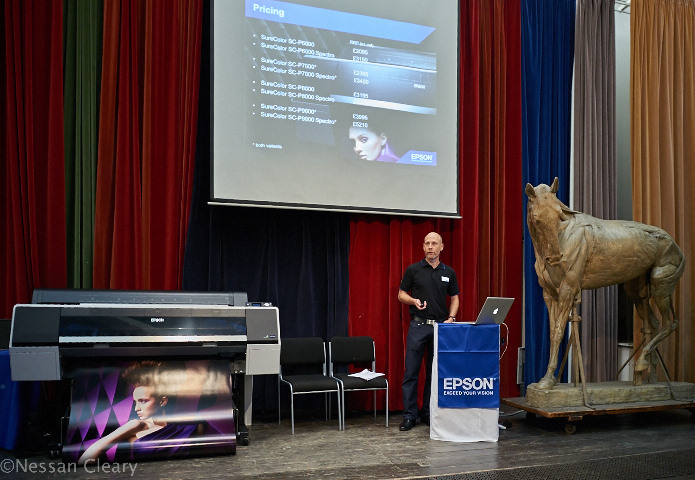 Phil McMullin, UK sales manager for Epson Prographics, (and friend), announcing the new SureColor P range, including this ten-colour 44ins P9000. GMG has launched a new service, CoZone Collaborate, to enable users to work together for proofing and approving projects online. CoZone is the name of an overall platform that extends the company’s existing colour management tools to include a cloud-based element, which will be modular, with Collaborate being the first module. This allows project participants to manage, review, proof and approve graphic arts content and by the end of 2013 – multimedia content – within an online Amazon Cloud Service hosted soft-proofing environment. As with most true cloud services, users need only a web browser to use the service, and there’s no restriction on the number of users, file sizes, or even storage. GMG has said that future CoZone modules will allow seamless connection to GMG-calibrated hard-copy output devices, delivering an end-to-end color-accurate workflow. X-Rite has launched i1Profiler v1.5, targeted at premedia, prepress, photo and print shop customers. 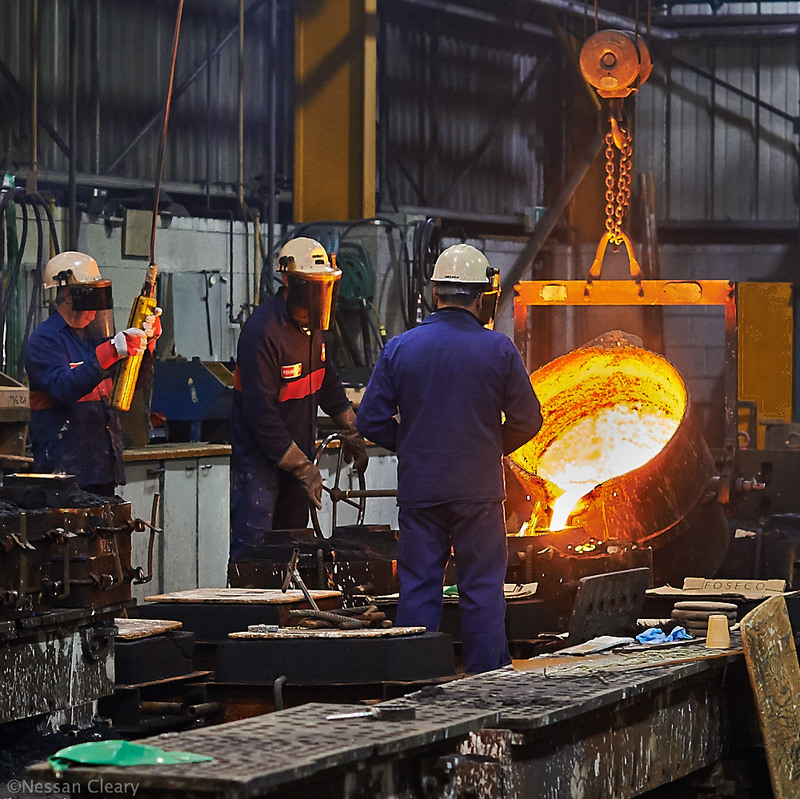 This now makes use of Device Link profiling, which is rapidly being accepted as the most effective way to colour manage multiple presses and proofing devices. Users will need an i1Pro2 spectrophotometer to use the device link profiles, but current customers will qualify for a free upgrade. It also includes: M1 support for the i1iO in spot mode; support for the Hutch Color (HCT) targets for scanner profiling; support for the Ugra/Fogra Media Wedge CMYK for large format printing; and enhanced display and projector profiling. GMG has updated its ColorProof colour management and proofing solution to v5.5. GMG says that it has rewritten the software to improve processing speed, cutting in half the time used create a new job from selecting the file until it’s ready to print. ColorProof also gains an automatic alert via multiple emails, to warn an operator to load paper, calibrate a printer, or fix a job error. There’s a new Manual Job Manager that offers a toolbar for the most common commands. Job status is clearly indicated with a green, orange or red color, giving the operator instant feedback. A new Database View now shows color-related information such as proof standards and spot colors, while a separate view provides configuration settings. There’s also a new Remote Poofing Edition, essentially a cut down version for viewing print-ready jobs, which costs 20% less than the regular ColorProof. CGS has updated its Oris Color Tuner/Web program to v2.03, with this latest version now supporting the latest printers from Epson, Roland DG, and Canon with CGS claiming that it is the first proofing system on the market to be FOGRA certified for Canon iPF6450 printers. It also includes a new print job editor that allows users to replace and omit individual colour separations and to preview those modifications before the job is printed.